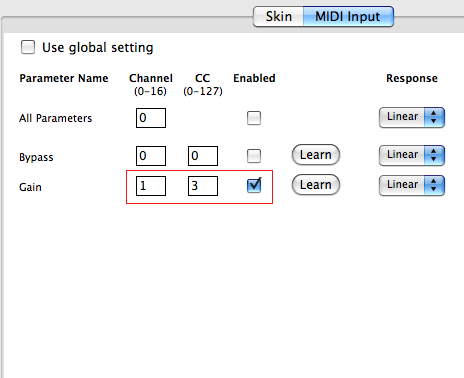 This tutorial shows you how to use the MIDI connectivity of our plugins in a modular host such as Plogue Bidule. We are using the Mac version of Bidule in this tutorial. 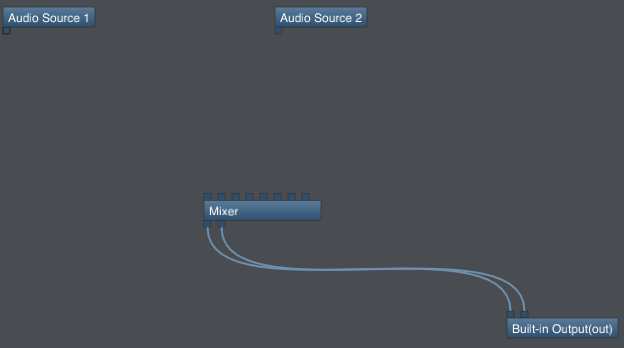 The scenario here is very simple: we will be using a first audio source (Audio Source 1) to modulate the volume of another one (Audio Source 2). It can typically be used for side chain compression, ducking, automatic voice over etc. 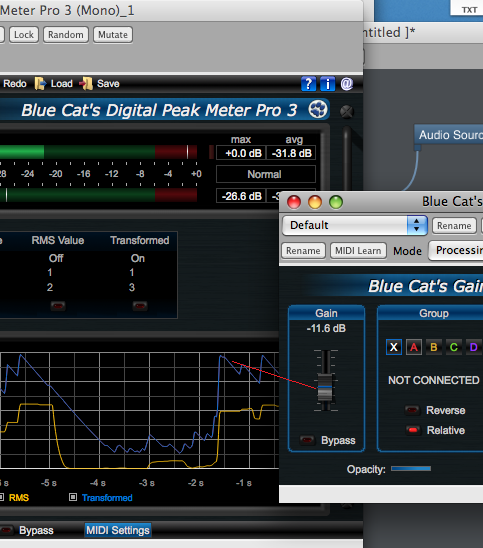 We will be using the DP Meter Pro plugin, but the tutorial is applicable to any of our plugins with MIDI output. 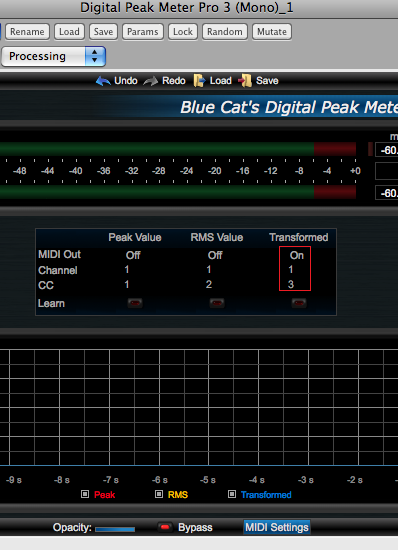 You can change the parameters of the envelope in the Digital Peak Meter Pro as well as adjust the MIDI response curves and value ranges in both plugins to adjust the response of the side chain. You are now able to use the MIDI capabilities of our plug-ins in a modular host such as Plogue Bidule. 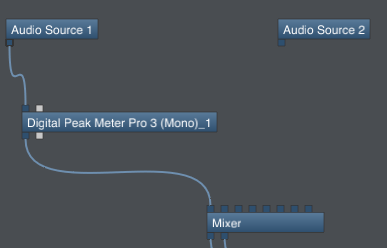 It is possible to create many audio-controlled effects thanks to this technique, using any of our audio plugins as a destination for the MIDI messages sent by one of our plugins with MIDI output. See our other tutorials for more examples.